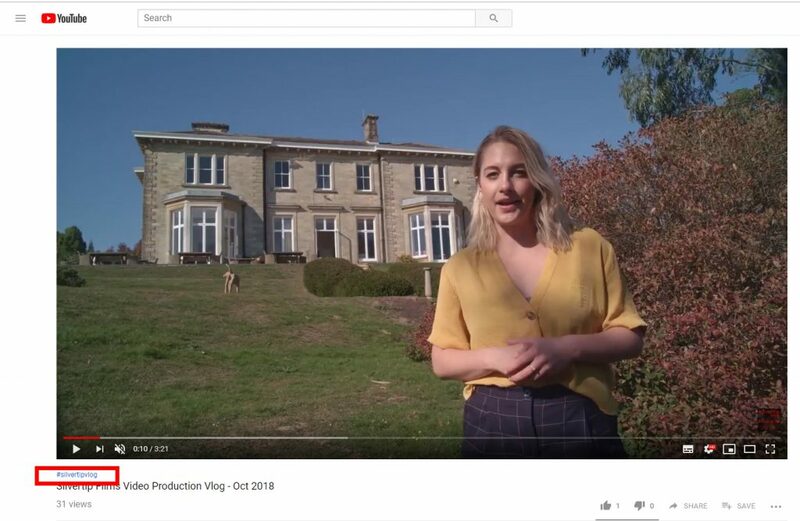 Whilst sites like Instagram and Twitter heavily rely on hashtags to enable content to be seen and searched for, YouTube has not used them until this year. They don’t work in quite the same way as the other sites usage of hashtags which enable you to search for all content and conversation about a topic. On YouTube, the hashtags don’t pick up conversation in comments but instead work as a sort of categorising feature enabling you to click on a hashtag and find other related videos. For us, that sort of seems the point of YouTube – we don’t particularly want to be looking at the conversation on a topic when looking for videos about it. Twitter is there for the conversation. 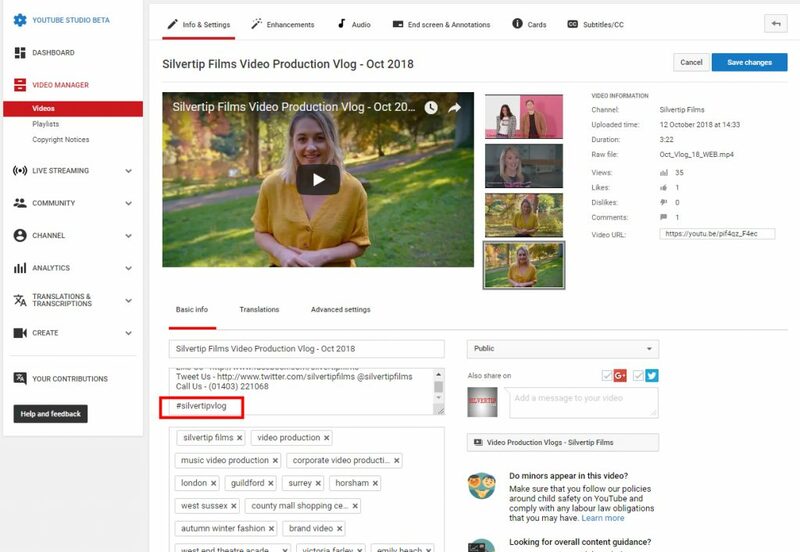 We added the hashtag #silvertipvlog to our vlogs and #silvertipreview on our review videos, so that the hashtag can be clicked and the rest of the vlogs displayed to the user. That way, related content is displayed in one easy go. To add a hashtag to your video, you can do two options depending on whether you want the hashtag to appear above your video title or as part of your video title. To add them above the title, simply add them into your Description box – the first three hashtags will be added above the video title. Quite eyecatching here and a good way of getting the phrases clicked on to see more, particularly useful if you can add a personalised hashtag like we did. The second option is to add them to the video title itself, but these will only appear in the video title. Baring in mind this is an easy thing to add to your videos, it’s worth taking advantage of and it will be interesting to see how this feature grows and how it is used in the future. 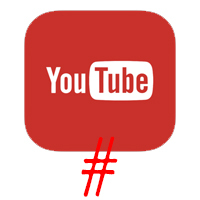 Posted in Blog, YouTube Tips and tagged youtube, hashtags.